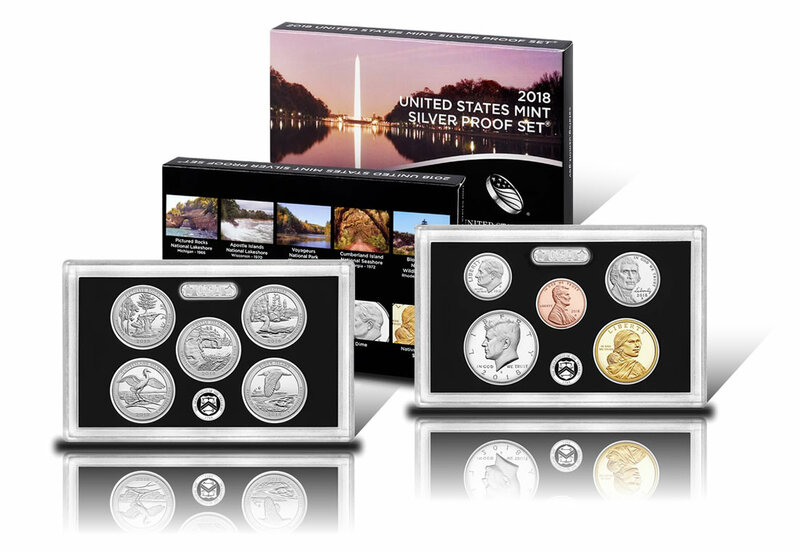 Early U.S. Mint sales figures are now available for this year’s silver set of 2018-dated coins. Annually issued since 1992, these sets are among the Mint’s most popular products. Released last week on Tuesday, April 24, the set posted six-day sales of 161,518. The start is the weakest in the series to date. The following table summarizes how sets have performed since 2008. *The 2017 Silver Proof Set is still available from the U.S. Mint. The U.S. Mint published sales data for 152 numismatic products. Fifty-two products outperformed their prior weekly gains against 39 previously. Not counting the new proof set so as to compare apples-to-apples, 5 products increased by more than 1,000 units compared to 1 previously. In addition, 7 products saw their sales totals reduced against 9 previously. The uncirculated set of 2018 quarters logged a larger-than-typical decline, falling 566 to 16,728. Below are tables showing the latest sales for U.S. Mint numismatic products. The sales period covers from April 23 to 29. Products with an asterisk (*) are no longer available or had no reported sales. So what is everyone thinking will be THE COLLECTIBLE coin(s) for 2018? 2018 Uncirculated AU coins? 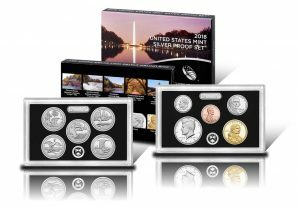 2018 Limited Edition Silver Proof set? Other? BTW, how long does it take for natural toning to occur on AG coins? Mike Unser, TY for all your work! The bot is a pita. But I understand. PALLADIUM Proof will be the only thing that will be the cat’s meow @ the United States Lost@Sea Mint…….